Sony Dev-50 Review – Best Video Binoculars. You are here: Home / Accessories & Tools / Sony Dev-50 Review – Best Video Binoculars. 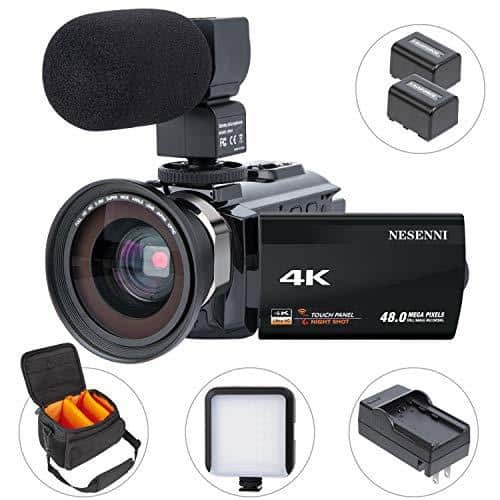 Full HD 1920 x 1080 2D or 3D video through binocular-style lenses. So, you can just lay back and enjoy nature or watch a game from a distance and then start recording or capturing still images when you feel like it. 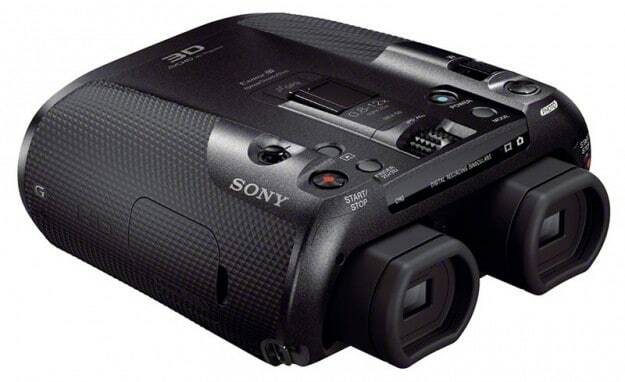 The DEV-50 features two Sony G-Lenses, two BIONZ Image Processors and dual 1/3.91” Back-Illuminated Exmor R CMOS sensors. The device also supports magnification of up to 25x. The device supports 1920 x 1080 2D/3D AVCHD video modes and can capture 2D JPEG images at up to 20.4 MP. The DEV-50 has a memory card slot that is compatible with Memory Stick PRO Duo and SD/SDHC/SDXC memory cards for saving footage. The device also has a USB port and a micro-HDMI output for viewing footage on an HDTV or 3DTV. With the DEV-50, you only need one device when you want to record and view the world around you. You no longer have to trouble yourself with carrying separate gadgets for viewing and recording. The DEV-50 also comes with a mic input and headphone jack. Zooming from 0.8x to a maximum of 25x magnification is made possible thanks to simple zoom lever operation. Subject location and framing is a lot easier too with conventional binoculars. The DEV-50 is built with Active image stabilization technology so that blur is minimized when zoomed in on a subject from far way. 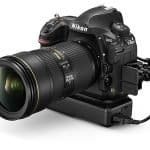 Optical image stabilization also adjusts lens position in the vertical and horizontal axes. The BIONZ image processing feature also adds compensation in the roll axis. All of these together give you a device that has an effective 3-axis image stabilization system. The By Pixel Super Resolution technology analyzes and processes all pixels then combines the data that results from it with a database of over a hundred variations in order to achieve optimum processing for each individual pixel. What you get out of this is a very improved still image resolution. The DEV-50 supports the following memory card types: Memory Stick PRO Duo (Mark 2), Memory Stick PRO-HG Duo, Memory Stick XC-HG Duo and SD/SDHC/SDXC memory cards. The DEV-50 records the scene or subject that you are viewing in Full HD 1920 x 1080 resolution. It does this while being observed through the binoculars. Recording immersive 3D movies with full HD image quality is made possible with the use of two Sony G lenses, two Exmor R CMOS sensors and two BIONZ image processing engines. Frame Packing is also used to transmit 3D video signal through HDMI. With this, independent HD signals are compressed and transmitted for the left and right eyes so that high-resolution Double HD 3D images can be recorded and viewed on TVs that are capable of displaying 3D. The XGA OLED Tru-Finder delivers outstanding resolution and high contrast. While independent images are provided for the left and right eyes for a true stereoscopic view, 3D viewing is achieved without crosstalk or image degradation. Since the OLED Tru-Finder panels produce their own light, there are no residual reflections or reduced contrast. Additionally, OLED devices offer XGA resolution – which is approximately 2.36 million dots – so that even the tiniest of details are clearly defined. With this Sony DEV-50 binoculars review, you’re presented with the key features of what makes the device a great tool if you love observing nature and sports events. So, if you ever need just one device when you head out to enjoy your hobby, the Sony DEV-50 is a cool but practical pick.